Morning Tweets! 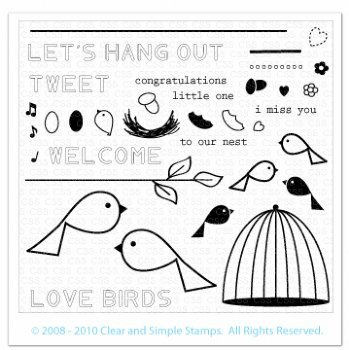 I have a new card for you today brought to you by Clear and Simple stamps! This adorable set is June's Stamp of the Month, called Tweet Notes, and it is is SO fun! I love this red rose trim! It's usually something I hoard....you know how it goes...but I had to bring it out for this lovey type card! LOL! I stamped the sentiment and colored it in with a red Copic to get that look! There are several sentiments in this set like this and they look amazing with a little color! Here is the full set for you to check out! You can find it HERE! LOVE this Laurie! 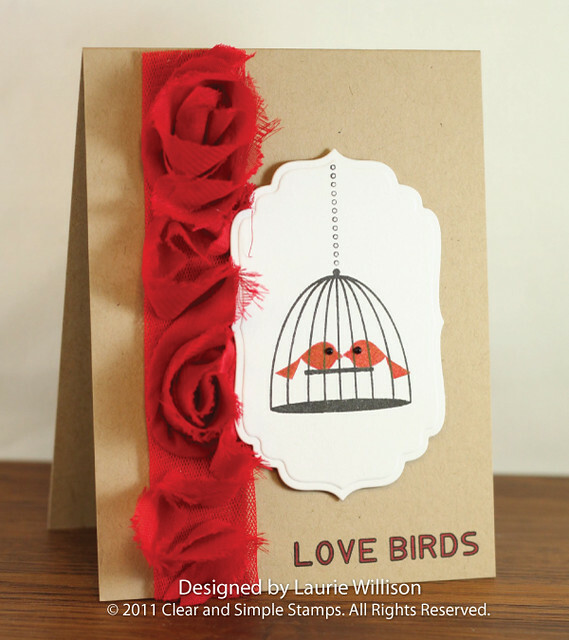 The LO, the birds and your sentiment all make for a sweet sweet card, and then you added that trim and it went to gorgeous! I would hoard the red rose ribbon too!!! This is a really cute card and the ribbon just completes it!! This is adorable. I really like the styling on those words and the birds. Very pretty. YOU KNOW how much I love that red rose trim and when that was the first thing I saw peeking through on my computer I knew it was going to be a great card because I KNOW you hoard your ribbon :) SO simple and so beautiful ~~ kinda like me....... not really I am a woman so automatically that means I am complicated :) LOVE THIS BEAUTY!!! Love that red rose trim!! Oh-so-cute, Laurie! Great colors... love how you added that gorgeous trim and colored in the sentiment to match. Fabulous as usual! So lovely! 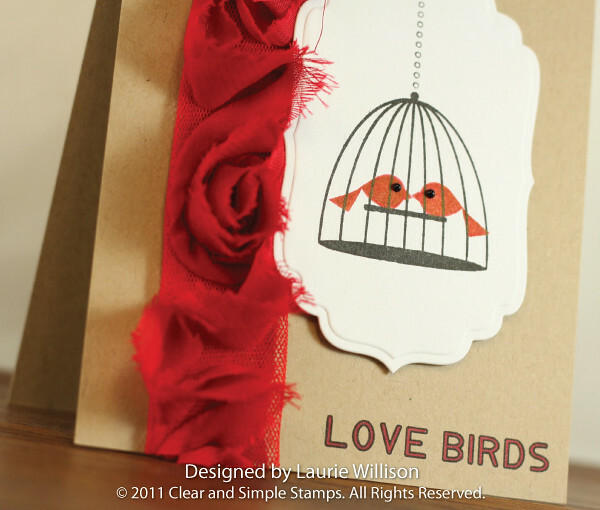 That trim is to-die-for and totally perfect to match with your birdies and the sentiment. Love that ribbon, I would totally hoard it too!! Very cute card! Great card, Laurie! Perfect for that really gorgeous red rose ribbon! So cute! Love that trim. I like this card a lot! The gorgeous red flower ribbon is stunning and such sweet love-birdies there!! Very nice! Lovely CAS Card! That ribbon is gorgeous! Love those little birdies and that ribbon.....I just can't part with mine just yet! the birds are so cut on the card. what a unique idea.